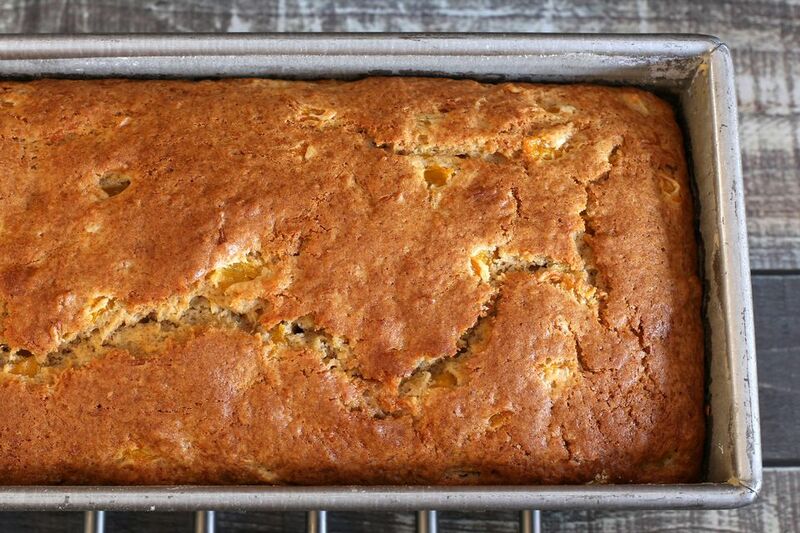 This Georgia style peach bread is delicious and easy to make. Georgia is home to some of the best peaches, so it's no wonder that folks from there found a way to put it in bread. Top this peach bread with pecans and we can be sure you will not regret it. In a large mixing bowl, cream sugar and shortening until light. Add eggs and beat well. Add peach puree and dry ingredients. Blend well. Stir in vanilla and chopped pecans and until blended. Pour into two greased and floured 9x5-inch loaf pans. Bake at 325 F for 55 minutes to 1 hour, or until a wooden pick or cake tester inserted in center comes out clean. Let bread cool for 5 minutes before removing from pan.